I’ve spent the past 5 years, learning and growing as an entrepreneur in the digital media space. Combining my passion for marketing, technology and communications, I’ve learned how to create a brand that connects with people all across the globe. 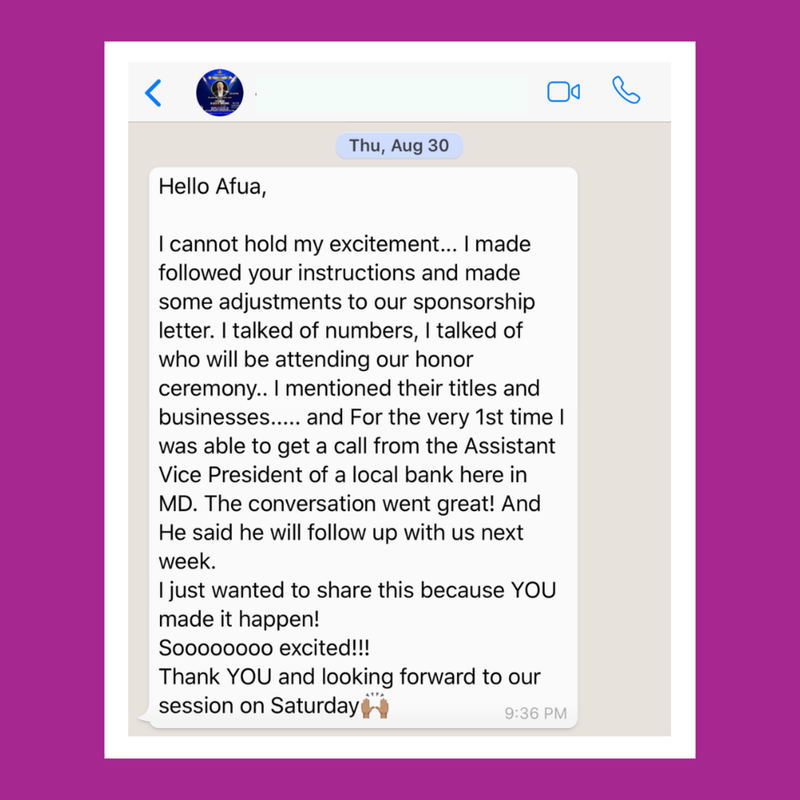 I’m so excited to be able to share what I’ve learned to help you successfully grow and scale your brands. 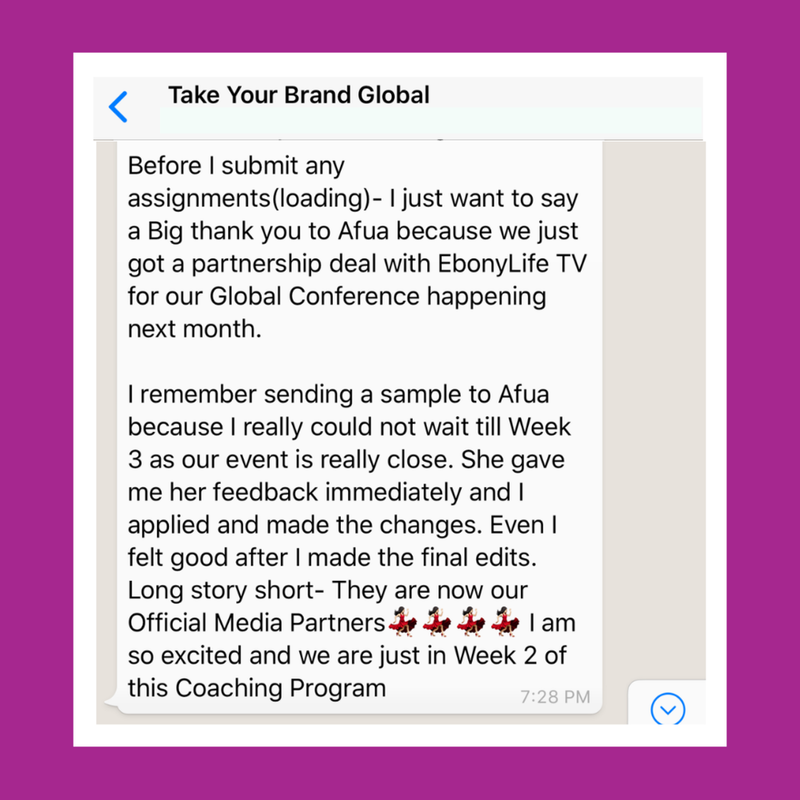 An 8 week online group coaching program to elevate your brand, get noticed by international media and expand beyond your borders in 60 days. A 4 week online group coaching program to help you position yourself as a professional thought leader and start booking clients. Personal 1-on-1 coaching on strategy, marketing and brand development for entrepreneurs who want direct feedback to help them reach their goals. Have a question about how the classes work? Visit our FAQs to see if the information is there. 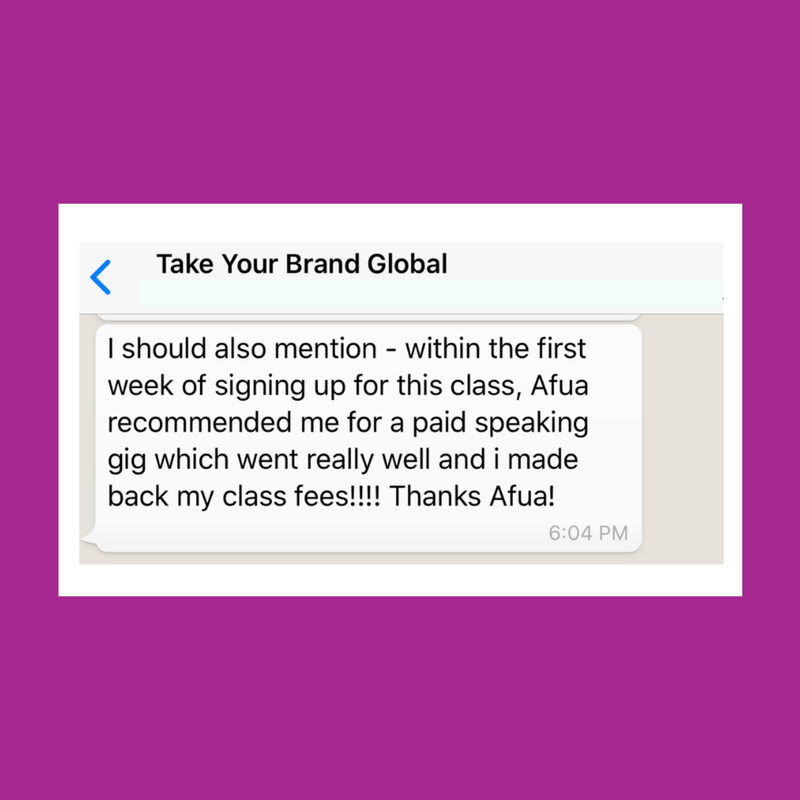 If not, please send an email to classes@afuaosei.com and we’ll get back to you within 24-48 hours.